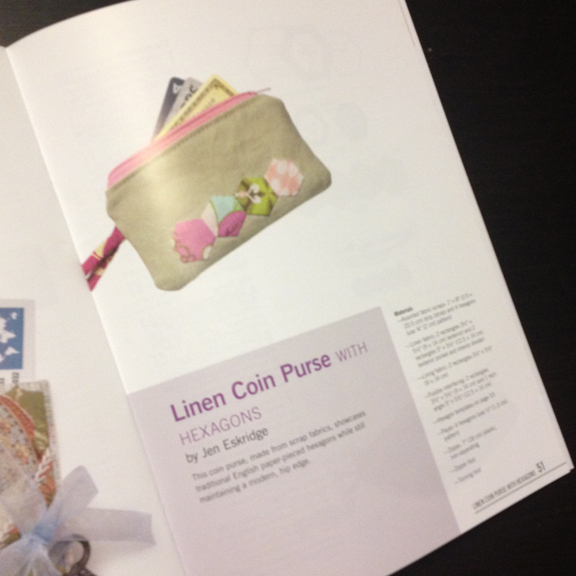 Thank you so much, for including my Hexagon Coin Purse in this great compilation of Evening Bags. This book was put together by Lindsey Murray McClelland. There are quilty bags, scrappy bags and art bags for a total of 16 great small projects. You can purchase the book and read more about the projects on the Interweave Press website for only $14.99. The book should be available soon, at Joann’s stores.